Kate Middleton and Meghan Markle have become the targets of a toxic social media culture pitting them against one another, and now, Duchess of York Sarah Ferguson is weighing in, comparing the online baiting to what the media did with her and Princess Diana. Women, in particular, are constantly pitted against and compared with each other in a way that reminds me of how people tried to portray Diana and me all the time as rivals, which is something neither of us ever really felt. Ferguson wrote a candid letter in Hello! magazine on Monday, taking aim at what she calls the “sewer” of social media. “It’s time to confront head on the fact that much of social media has become a sewer,” she wrote. “Take a look at any website, and you’ll see extraordinarily abusive comments aimed not only at people in the public eye but also other internet users. Bullying, sniping, bitching, even the most appalling sexism, racism and homophobia are commonplace — it seems that online, anything goes. “Women, in particular, are constantly pitted against and compared with each other in a way that reminds me of how people tried to portray Diana and me all the time as rivals, which is something neither of us ever really felt,” she continued. 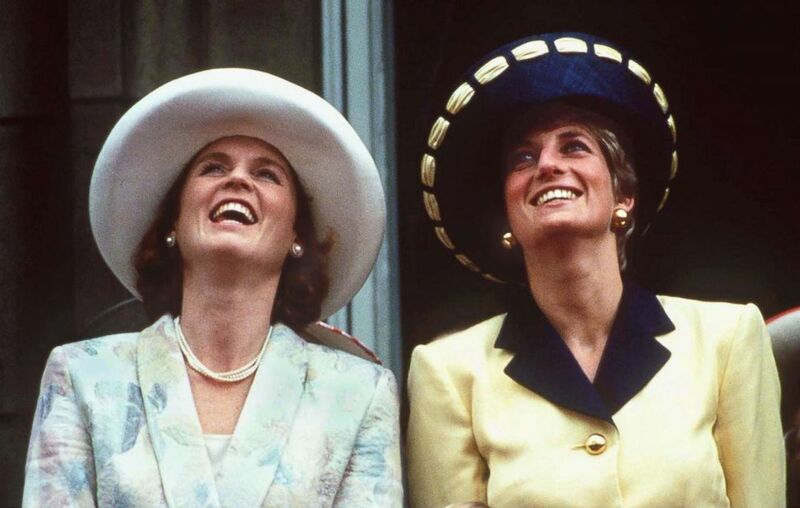 Sarah Ferguson, Duchess of York, joins Diana, Princess of Wales, on the balcony of Buckingham Palace to view the Trooping the Colour ceremony in June 1991. Many royal watchers read York’s pointed essay as a not-so-veiled reference to a media-driven divide playing out between the Duchess of Cambridge and the Duchess of Sussex. Catherine, Duchess of Cambridge and Meghan, Duchess of Sussex attend Christmas Day Church service at Church of St Mary Magdalene on the Sandringham estate on Dec. 25, 2018 in King's Lynn, England. "It’s safe to say that when the Duchess of York and the Princess of Wales were around, social media didn’t exist and this was always being played out in the newspapers," Hello! magazine’s royal correspondent, Emily Nash, told "Good Morning America." "Nowadays we are seeing something very similar online with their fans pitted against each other." 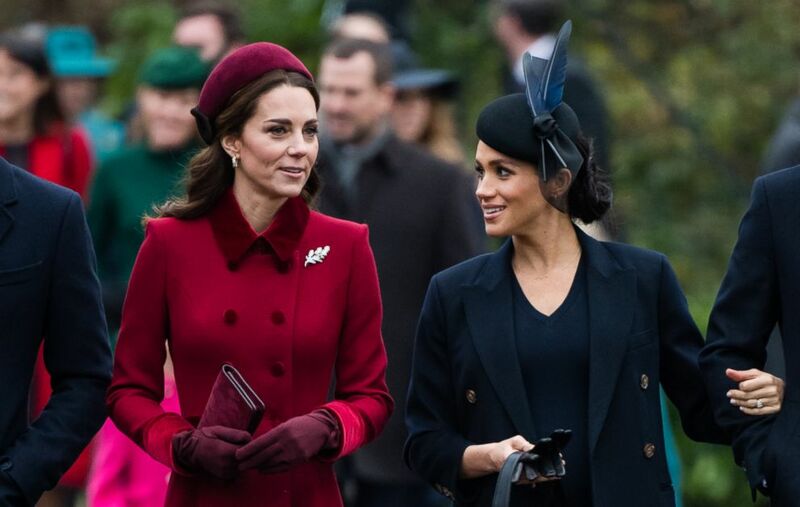 The British media reported last month about rumored rivalries between the royal sisters-in-law and difficulties Meghan is facing as she adjusts to her new life as a member of England's royal family. Kensington Palace aides devote hours each week to moderating and deleting violent, sexist and racist comments directed at Markle and Middleton and the palace has even turned to Instagram for help, according to a report in Hello! magazine. "A lot of it is very petty — a lot of body shaming and criticizing how they walk, how they look — and a lot of this is coming from women," Nash said of the criticisms directed at the royals. "Meghan is a newcomer so there is a lot more scrutiny on her." "It feels like it has reached a tipping point now and it can’t go on like this," she added. Ferguson's pointed essay was an endorsement of the magazine's #HellotoKindness campaign, an effort launched last month to "champion positivity online" and quell toxic bullying and negative comments. The campaign asks readers to ask themselves three questions before posting a comment online: Is it friendly? Is it kind? Would you say it in real life? I've also been told #HelloToKindness should start at home. It did. In response to the negative impact trolling on our platforms is having on us all - not just on the Duchesses. I've said in interviews this week that I feel sections of the media need to raise their game, FWIW. "Let's all try to think before we post. Let's all try to treat each other a little more gently," she wrote, calling for compassion.